If you know an awesome electrician or if you are one then we have found some cool things for you. There is a range of items here that include some that are fun and some that are very useful. This classic retro style business card is perfect if you represent good old fashioned reliability. Choose from six sizes and twelve different paper types. You can also choose from either classic or rounded corners. Paper types that are offered include both budget and premium options. This is a great mug for an electrician that is good at their job and proud of it. The design is available on many different products including mugs, travel mugs and water bottles. Electricians are often referred to as sparkys. If you think of yourself or someone else as being a great sparky then this shirt is a cool idea. It is bright and sure to stand out wherever it is worn. The bright color will make it easy to locate an electrician on a building or project site. If you have an electrician friend, family member or colleague that is retiring then this fun card is a cool idea. It's very funny and is a great way to let them know that you wish them the best. You can add a custom greeting to the card to be printed inside or you can hand write a greeting when it arrives. This interesting and fashionable artist designed shirt is a cool idea for an electrician. It is an especially good choice for a patriotic, American electrician! The design features a vintage look American flag and a lineman climbing a pole to make repairs. There are many different shirt style and colors to choose from. This design is also offered on other fun products such as bags and key chains. If you are or you know someone who is an electrician and a gamer then this mug is sure to be a hit. Cool stuff for electricians that can be used when on the job make great gifts for colleagues or employees. Almost everyone uses a mug for coffee or drinks during a long workday. This design is available on a coffee mug, a travel mug, a beer glass, a water bottle and a range of other handy items. This bright tie features eye-catching colors and text. There are recognizable icons that are presented in a fun and interesting way. 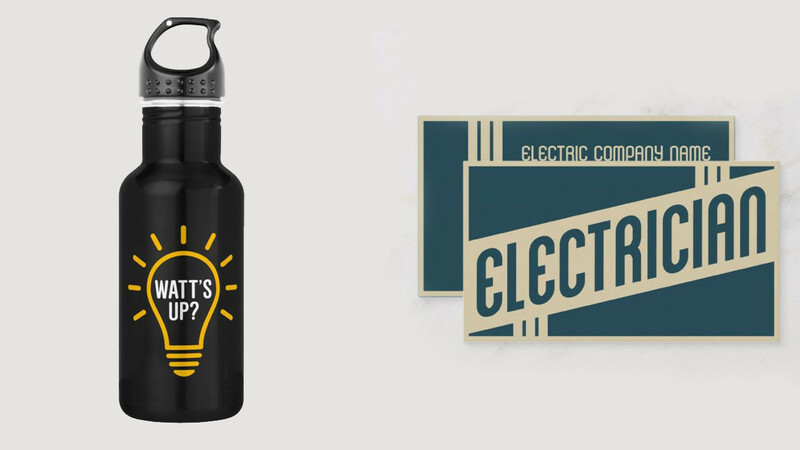 A cool novelty gift idea for your favorite electrician or a fun tie to wear to meetings. Any electrician who appreciates quirky and unique things is sure to like it. This smartphone case is designed to look like an electrical outlet. The design is clever and there are sizes available to fit most popular smartphones. It is available to fit most iPhone models and most Samsung Galaxy models. You can also order this design on other products such as iPad covers, power banks, Bluetooth speakers and playing cards. There are plenty of options that make cool gift ideas for electricians. Many people carry a water bottle and this is especially true for tradesmen who often work long hours. This water bottle is made from tough stainless steel so it is durable and strong. It is also lightweight so carrying it around is not a hassle. This one features a clever design that is perfect for an electrician or anyone who loves interesting designs. There are two size options. Choose from an 18-ounce bottle or a 24-ounce bottle. Tradesmen often get lots of requests that are annoying or weird and this shirt covers them all. It's funny because it covers a lot of issues that really are annoying but in an amusing way. 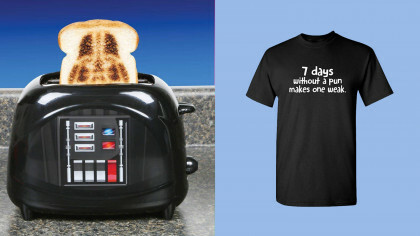 A cool gift idea or a fun shirt for yourself if you are an electrician. If you liked checking out these cool things for electricians then you may also like to check out the following.